Brussels - 27 April 2018 - The vote today at the SCoPAFF to ban neonicotinoids, including in pelleted beet seed, is a severe blow for sugar beet growers and for the sustainability of the EU beet sugar sector. 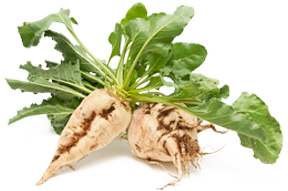 It is not a science-based decision as far as sugar beet is concerned. It is highly regrettable that a majority of Member States have ignored the data gaps in the EFSA assessment and the recent evidence put forward. As a result, both the environment and the farming community will be negatively affected. There is no justification for banning the use of neonicotinoid seed treatments in sugar beet growing because of environmental concerns. The current use of such seed treatments in sugar beet is safe and represents a very low risk to non-target organisms, including pollinators. Moreover, the EFSA risk assessment assumes that all crops succeeding sugar beet are attractive to bees, while in practice across Europe 90 per cent of crops succeeding sugar beet are cereals, which are not attractive to pollinators. Deprived of the use of neonicotinoids in pelleted beet seed, which constitutes a significant improvement in sustainability and efficiency, EU beet growers will be forced to resort to far less sustainable practices to control pests, i.e. several post-emergence spray treatments that are more harmful to pollinators and to the biodiversity. There is currently no sustainable alternative for EU beet growers: the spray treatments that will replace neonicotinoids in pelleted beet seed are less environmentally sustainable, more cost-intensive and less efficient. Not all growers will be able to afford the additional costs and high risk of crop failure resulting from this ban, and many will be forced out of the sector. The irony of the situation is that it will be those growers who pay the most attention to good environmental practices who will be most affected. The ban will therefore go against and jeopardise a decade of investments designed to improve the good practices and sustainability of the EU beet sugar sector. Furthermore, this decision goes against the logic of competitiveness that has oriented the CAP reforms. As the EU sugar market is largely and increasingly open to imports from third countries, the only winners from this vote will be third country sugar producers, which benefit from much weaker environmental and social standards. In an unprecedented EU market situation, with sugar and beet prices at record low levels, this ban will have immediate and long lasting negative consequences. CIBE and CEFS urge Member States and the European Commission to remain accountable for this decision and to work with the EU beet sugar sector to at least put in place accompanying measures, such as research and development support, to help mitigate as much as possible these negative consequences and maintain the highest level of sustainability achieved by the sector so far.